In midst of the talk about Facebook's demise, the data from Q4 tells an entirely different story -- one that says Facebook is on an upward trajectory. There has been a great deal of news about the demise of Facebook recently. The world’s most popular social network won’t be deserted by 2017, and the mass exodus of teens has been blown out of proportion. With the release of Facebook’s Q4 2013 and year-end data, there are likely to be a lot of naysayers with egg on their faces. Facebook now has 1.23 billion monthly active users, and if that seems like too broad of a statistic, take note of the 757 million daily active users. Indeed, Facebook is going from strength to strength when it comes to user engagement, a fact bears out in the data. That’s an increase of 16 percent in the monthly active users and a 22 percent increase in daily active users year-over-year. And with colossal engagement numbers like that, revenue is up by a large margin. Facebook generated $7.87 billion over the course of 2013, which is a 55 percent year-over-year increase compared to 2012, when Facebook generated a comparatively paltry $5.09 billion. This revenue increase covered $1.50 billion in net income, and a $2.80 billion income from operations. Particularly interesting is Facebook’s mobile strategy, which is moving the social networking behemoth away from the desktop and into the world with ever-increasing numbers of users. 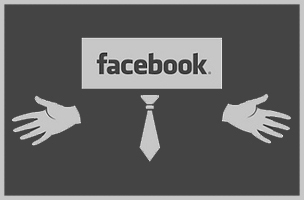 76.83 percent of Facebook’s monthly users access Facebook via mobile devices. And the daily user base is going mobile at a rate of 73.44 percent, according to The Next Web’s calculations. Facebook obviously had access to this data long before we did, so their strategy of mobile first is well advised. The problem with using Facebook, for most users, is that you only get updates from friends and family, and maybe a handful of pages that you’ve liked. The news feed, while still core to the service, isn’t great for exploring new content. So Facebook is releasing Paper, a new app dedicated to discovery of popular public content. With this new app, status updates become stories and different types of updates are grouped together into categories like technology, top headlines and photography. The goal is for Paper to enable better exploration of user-generated content, as well as other material from around the Web. Facebook has its main app, a messenger, and now it has Paper. Diversification seems to be working well for Facebook.